Glampin’ Is the Life for Me! Posted on December 20, 2018 by Jessica Tufts Posted in Camping Resources, Resources	. Glamping, also known as luxury camping or glamorous camping, is that escape you’ve been meaning to take. It’s that little break from the hustle and bustle. While the idea of camping is so nostalgic, with its campfire lights, sweet smores, and outdoor games, some people immediately think of mosquitos, sleeping on lumpy dirt piles, and food that is barely edible. There are so many ways to enjoy the outdoors and we are lucky in Wisconsin to have access to so many campgrounds with lodging options! The days of packing up essentials only to pile into a tent riddled with mud and shower under a strung-up hose are long gone…well I mean, those are still options should you prefer! Posted on December 20, 2018 by Jessica Tufts Posted in Resources	. Posted on November 21, 2018 by Jessica Tufts Posted in Members Blog	. The WBAY RV & Camping Show is held January 24-27, 2019 at the Resch Center in Green Bay, WI. WACO has set up a room block at the Best Western Green Bay Inn Conference Center, 780 Armed Forces Drive, Green Bay, WI 54304. When calling to make your reservation use the WACO room block . Posted on November 16, 2018 by Jessica Tufts Posted in Members Blog	. Please buy from those who support our 2019 WACO Convention and Trade Show. Camping Is Our Life, INC.
Posted on November 15, 2018 by Jessica Tufts Posted in Members Blog	. Digitally view or download the latest version of the 2019 WACO Campground Directory by clicking on the image below. Please Note: Only huge areas can be changed from this point on. Posted on November 8, 2018 by Jessica Tufts Posted in Members Blog	. Did your campground sign-up to be a part of the 30,000 Printing Program this year? The 30K Printing Program is just $650.00 and the NEW 5K Program is only $260.00! -Must be printed by December 1, 2018. Check the list below to see if the WACO office has your campground signed up and if we have received your art! Find an issue? Let the WACO office know. Campground Size Art to Office? Contact the WACO office to get started and take advantage of this great deal! RV Winterization Inside and Out! Posted on October 29, 2018 by Jessica Tufts Posted in Camping Resources	. It’s that time of year where all the campgrounds are saying “See you next year” to their seasonal guests and watching as they prep their RV’s and seasonal units for a winter’s rest. The snowy season can really wreak havoc on your home away from home if you don’t take proper care. Here are some tips to winterize your RV inside/out. Some are more extreme than necessary that I picked up from serious RV’ers who use their unit for more road travel, but I will say, why not spend a little more time and very little money to protect something you and your family invested in? Also, just because you don’t have cold seasons where you RV or store your RV, doesn’t mean you shouldn’t look at some of the steps below! Annual maintenance in general really adds years of life to your RV. Some areas really struggle with stink bugs or Asian beetles – I know we do! Spring comes and the RV is full of the little guys who have found curtains and bedding for their winter home. Enter vacuum cleaners and that not-so-lovely scent come Spring – oy! To avoid that chore as much as possible, put away, wrap up, and store as many items as possible, giving those little guys less space to burrow down. Side tip: that will also help you avoid any rodent nests as well! All blankets and pillows are stored in plastic bins, either in the camper or in your basement, storage shed…you get the idea. Some curtains are affixed/semi-permanent and for those, just keep them open as much as possible, leaving as few folds as possible for bugs to hide or crawl into the “warm” creases. We store others, like the kids’ bunk curtains, in plastic bins. The foam pad for our mattress we roll and put into large garbage bags, taping them off so the bugs can’t crawl in. Just be sure to store those lying on their long side, not the short end. Foam mattresses aren’t designed to hold their weight on that end! Bring the bunk mattresses into the house and store them under or behind a bed. If you don’t have room in your house for this, you could also bag/tape these as well and leave them in the camper! Leftover food is not always a good thing. When packing up for the winter, make sure that anything you leave behind isn’t a food source for someone you don’t want to snuggle with come spring! Empty the refrigerator and freezer, sanitizing both with any kitchen cleaner. We keep baking soda and a container of charcoal briquets in the unit to keep moisture out. Don’t forget to leave the doors slightly open to allow air to circulate. Forgot about this one year and we came back to a significant science project growing. Thankfully, we haven’t had a consistent rodent issue, but putting moth balls in the camper in the nooks/crannies can help keep them at bay. To see more tips on keeping mice/rodents out – check out our previous blog! Now let’s look at what steps you should take to keep the mechanics and outside of your RV safe through winter months. If not properly drained, water can get inside your RV pipes, the water expands is it gets close to freezing, and eventually BOOM! I love this little checklist from Sanidumps.com, with simple steps on how to winterize your RV water system for winter or long periods of storage. One thing to highlight here: Even if you store your RV in a warmer climate, you should still follow some of the steps below. Its not good for your system to sit unused for long periods of time! Also, be sure to have your owner’s manual ready and double check any of the steps below to that. Every unit is different and may have unique care steps. First, you need to open the fresh water tank valve, letting all the water drain from the holding tank. While that water is draining, if at all possible, try to bypass your hot water heater. Knowing if you can bypass the hot water heater could save you GALLONS/LITRES of antifreeze! Open any sink faucet to relieve the water pressure for both the hot and cold lines. Open the hot water tank drain plug and drain the hot water tank. Open/run all the cold and hot water faucets in the entire RV – and I mean ALL. Sinks, shower/bath, toilet, fridge (you may have an ice maker? ), laundry, outside shower – whatever your unit has, open it up! Flush your toilets a few times just to make sure all the water has run out. Get your air compressor ready and attach your air adaptor to the RV’s water lines. This can be purchased at most hardware/RV stores and is commonly known as a “blowout plug.” Use a max 15 psi to get water out, but to ensure you don’t damage shower heads, etc. This step isn’t 100% necessary, but it just ensures that your antifreeze isn’t diluted, which can protect your RV even more! If you do this step, be sure to disconnect air adaptor from the RV and compressor now. Replace caps on all the drains and shut off/close all the cold and hot water faucets that you opened up earlier, including your fresh water tank valve. Drain the black and gray holding tanks in your unit next – those should be flushed in this step as well! If you are unsure on that process, check out another handy link from Sandidumps here. Place the water line end of the water pump conversion kit in a jug of pink RV antifreeze. If you have a bypass installed (to avoid filling your water heater), you’ll only need about 2-3 gallons of antifreeze. Unfortunately, without a bypass, you’ll need enough to fill the entire tank – that could be 6-10 gallons more! Turn on the fresh water pump and that will pull the antifreeze from the job to the RV plumbing system. In general, you want to work from one end of your RV unit to the other – so start at the kitchen sink for example, turn on the hot faucet and run it until it turns solid pink. That means it is filled with antifreeze. Do the same with the cold water. Head to the next water outlet and do the same. Note that you may have to flush the toilet several times until you see a strong shade of pink! Pour about 3 cups of antifreeze into the toilet, and in EACH drain – that includes the washing machine, ice maker and any other additional drains you have! Here’s another good time to check that manual to make sure you didn’t miss anything. Remove the water line from the antifreeze jug and reconnect that to the fresh water take – if you had to disconnect the water line. Final step – check the label on your antifreeze and wipe out the bath tub/shower/sinks if it says to do so. Some brands recommend this step, others don’t – check to be sure! Before you shop around for antifreeze and a water pump conversion kit, do your research! There are some complete kits like this one that include almost everything you need, depending on your model. Something like this may be cheaper, depending on what you already have on hand. Again, this is just a preference! When you walk around your RV, think of all the areas that rodents, or UV light, could damage while your unit sits. If you store inside, this may be less of a problem – just things to think about! Vents/Holes – all should be covered! You probably already have some mesh guards in place, but if you don’t know is the time. Think roof, pipes, vents, and seams – keeping out birds, bugs, and rodents. Tire covers can be specific to your wheel, protecting them from sun damage, or you can use something as simple as plywood – here are some examples of both options. This is a highly debated step, as you can see here – to cover or not to cover. Your question to answer haha! Same goes for your RV itself. You don’t want snow/rodents getting in…but no one is loving mold/mildew as the alternative. If you DO opt to cover the entire RV, be sure its with a material that breathes! Let your RV Breathe! Leave one vent slightly open (with mesh in place), or install dehumidifier crystals. Fully charge the batteries. Charging either regularly or removing the battery, storing it elsewhere and keeping it on a trickle charger seems to be the least time-consuming solution. Hopefully this article gave you a solid checklist for off-season storage of your RV! Remember, every unit is different and a lot of the process comes down to personal preference. Happy Camping and from all of us in Wisconsin, we’ll see you next season! Posted on October 22, 2018 by Jessica Tufts Posted in Resources	. Other than water damage from a leak or poor drain system, a rodent infestation can be one of the most damaging and nasty things that can happen to your RV. Rodents just love to chew on wires (any plastic actually!) and leave their droppings in every possible crack and crevice. Some electrical damage they cause can be extremely hard to repair based on the location or the amount of damage – and we all know those repairs don’t come cheap! As you’ve probably invested funds when initially purchasing your RV, its worth a few dollars and the time spent to make sure you keep the pesky critters outside. Screens– Use fine mesh screens on any larger openings like vents, access ports, and piping. Basically, the areas that still require air/the ability to get inside. You can secure with a simple ring clamp. Steel Wool– Some mice are more aggressive mice and may actually try to chew through foam! Add an extra layer of protection by putting some steel wool on the other side of those entrances. Chewing on the sharp steel fibers should deter them. Spray Foam– Expanding foam in a spray can be used to fill in cracks and tiny holes and it can be removed if need be. (No really – here’s a link how to remove and clean up any “oopsies”) Be sure to check underside/undercarriage of the RV, inside the storage compartments (closets and cupboards) and around holes where the plumbing runs. Power Cord Hole – You know you need a solution for rodent repellant when you have an area on your rig referred to as a “Mouse Hole!” If your rig uses a feed through for the power cord, consider doing what I did and install a fixed receptacle There are lots of different options out there, kits you can purchase or individual pieces you can buy. Regardless, it’s one less pest access hole in your home on wheels! Metal Rings – Create metal rigs out of sheet metal and place on the ground around tires and jacks. Make them tall enough so mice can’t stretch to get over the top – usually around 8 inches should work just fine! Xcluder– Commercial grade stainless steel non-rusting mesh used by professionals to block openings. This product line offers several options and lots of ideas – not only for your RV, but your home rodent protection as well. Food Storage – Probably goes without saying but don’t leave any sort of food where a mouse could access it. Your bottom storage is awesome, but not for storing potatoes. And don’t forget – pet food is still food to mice! Keep everything sealed up in plastic containers or tins. Be Mindful of Food that Isn’t Really Food – Rodents will eat the strangest things to survive. I once found I had a mouse in the front storage bay of the trailer, living the life, gnawing on a fire log made of recycled coffee grounds! Remove Any Nesting Materials – When mice move in they will want to build a nest, and well start making those baby mice! Don’t leave things like towels, clothes, or paper products (napkins, toilet paper, newspaper, notepads, magazines, etc) in your RV – those are prime nest creation materials my friends! Stay Away – Little pouches of plant based material that mice hate. You place a few around the RV and the mice stay away. They need to be renewed once in a while as the scent diminishes. Mouse Free– This is a spray that is applied on the undercarriage of the trailer or motorhome keeping the mice from entering. They claim to be a “No Mess, No Drip, Non-Toxic” solution…and hey, they ship for free! Peppermint Oil– Soak cotton balls with it and leave in the mice infested area. Must be refreshed often. Trapping the Mice – There are so many options for mice traps that I won’t bother listing alternatives here! It all depends on your budget, your feelings about human vs. lethal, and in the end disposal/removal. (Don’t forget, if you’re all about humane, you have to be all about the “release” part in “catch and release!” I honestly have had the best luck with the ol’ peanut butter on a wire snap trap. Good luck to all you RV’ers out there – here’s hoping this article helps! May your home on wheels be free of unwanted critters! Posted on August 24, 2018 by Jessica Tufts Posted in Camping Resources	. Last minute search for campgrounds with openings for Labor Day Weekend? We have you covered! Below are campgrounds with openings for the weekend and what is available at their campground. 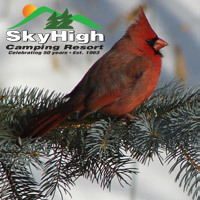 To make a reservation or questions on the campground, please contact the individual campground directly. 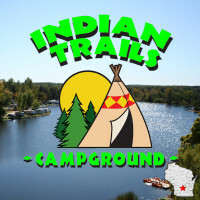 Click on the campground name to be directed to their contact information and more about the campground amenities! Green Acres Family Campground – See sites available online and make online reservation! Pineland Camping Park – We have three sites available that have water and electric. **Subject to Change. Based on availability!